Surging union growth and militancy is due to courageous leaders like Kalpona Akter: child laborer at 12, union president at 15, she’s now head of the Bangladesh Center for Worker Solidarity. Akter, 36, started working in a garment factory when she was 12 years old, and by the time she was 15, she was president of her local union. She is now the executive director of the Bangladesh Center for Worker Solidarity, and the leading figure in Bangladesh’s small but rapidly growing independent labor movement. She is courageous, articulate and revered by the young workers, mostly women, whom she is helping to organize. Someday she will surely be nominated for the Nobel Peace Prize. 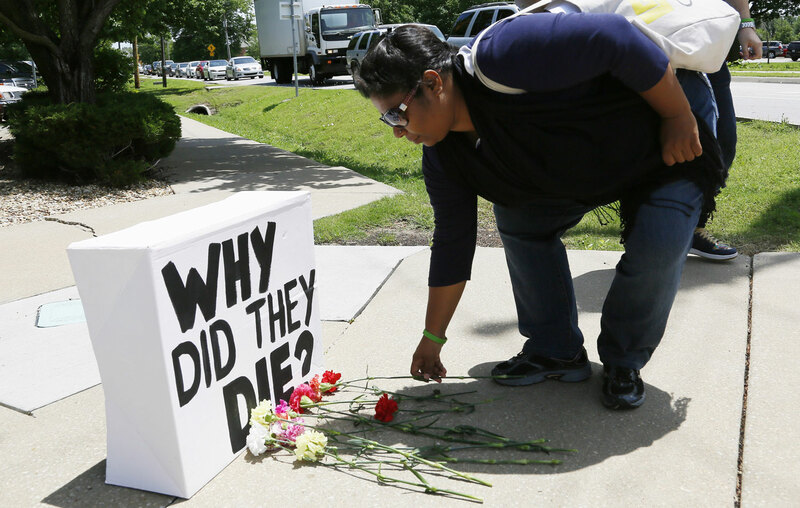 Justice starts with ending the danger of mass death in the workplace. Rana Plaza was only the worst in a string of disasters, which include other building collapses and regular murderous fires, like the blaze that swept the Tazreen Fashions factory in November 2012 and killed 112 people. Way back in 2005, the independent labor movement and its allies overseas drafted a tough safety agreement, and struggled unsuccessfully for years to persuade the big Western retailers to sign it. By early November the Accord on Fire and Building Safety in Bangladesh had gotten more than 100 importers to ratify it, including European giants like the Swedish retailer H&M and Zara, based in Spain. Europe takes 60 percent of Bangladeshi clothing manufactures, so the new agreement will have a huge impact. The Accord launched its own website (www.bangladeshaccord.org), where discerning consumers can start to educate themselves. The Accord is a legal agreement that requires the importers to spend real money—which could add up to more than $1 billion over the next five years—to make workplaces safer. It even pledges to cover the wages of garment workers who may be idled while their factories are being repaired. Most of the biggest US importers, like Walmart and Gap (which also owns Old Navy and Banana Republic), have so far refused to sign the Accord, and instead are sponsoring a toothless, dishonest, window-dressing substitute called the Alliance for Bangladesh Worker Safety. The Alliance will spend only a laughable $42 million to fix Bangladeshi factories, a tiny percentage of what the Accord promises. (The similarity in names is surely designed to confuse consumers.) The bogus Alliance was rolled out in July in Washington at the Bipartisan Policy Center by former US Senators George Mitchell and Olympia Snowe; they have close connections to US retailers fighting serious reform. Some US retailers have signed the genuine Accord: among them are PVH, which includes Calvin Klein and Tommy Hilfiger, and Ambercrombie & Fitch. Shareholders in the American holdouts might well question why senior management continues to put institutional reputations at risk; how will the Walmart and Gap publicity departments respond the next time the Bangladeshi labor movement finds their labels in the rubble after another disaster? One indispensable condition for a safe workplace is an independent union movement. I met with a half-dozen survivors of the Rana Plaza collapse, one of whom was still on crutches, and they agreed that the disaster was completely foretold. The day before the building fell, a big crack opened in a wall on the third floor. Someone took a cellphone photo of the jagged opening, which they somberly showed me. Crowds of people immediately fled the building in fear. The workers even contacted a local television station, but the building owner and his thugs did not let the TV crew enter. The next morning, the young garment workers milled around nervously outside, only going in when they were told they would be fired otherwise. The nine-story building collapsed just after 8:30 a.m. An independent union could have protected them by calling them out of the factory without fear of reprisal. But even if all 5,000 of Bangladesh’s garment factories become safe places to work tomorrow, the low pay and other terrible working conditions mean that the human rights of Bangladeshi working people will continue to be massively violated. Normal life here for garment workers is worse than you think, but the big clothing importers surely hope to confine the debate to safety. Fortunately, after years of difficult struggle, over the past few months the independent labor movement has found the going easier. Its allies in America used a trade agreement to apply pressure on the Bangladeshi government, which has opened the space for thousands of new workers to join unions. Kalpona Akter estimates that in the past six months the movement may have tripled in size, to approximately 24,000 workers. The largest free union group is called the Bangladesh Garment and Industrial Workers Federation. In late September, in a sign of the growing self-confidence, up to 200,000 strikers and their sympathizers closed down more than 100 garment factories for several days and blockaded major roads. The demonstrations started up again on November 11, when thousands went on strike demanding a wage increase, shutting down hundreds of factories for days and clashing with police, who used tear gas and rubber bullets against protesters, with about 100 injured at the time of this posting. The garment industry started several decades ago in central Dhaka, but as it exploded to 4 million workers, it expanded northwest of the capital, to a new Garment Belt in the towns of Ashulia, Savar and Gazipur, which had been surrounded by agriculture. To get there, you take a jam-packed main road that at first seems like so many others in the global South, clogged with bicycle rickshaws, battered buses, roadside vendors and muddy pools of water. Then you start to notice the factories at regular intervals, set back from each side of the road: ugly, rectangular, five-to-nine-story buildings. They’re not small, but you are still surprised to see how crowded they are inside: this one has 4,500 workers, that one 9,000. You discover that the garment industry has contributed absolutely nothing to the surrounding communities: no health clinics, no schools or recreational centers, no parks, no libraries, no locally sponsored sports teams, nothing. Over an intense week, several dozen garment workers in Dhaka and the Garment Belt shared their experiences with me. We met inside the spare union offices, away from the prying eyes of owners and their informants, and afterward some of them invited me see where they live. About 80 percent of the workers I met were women, which reflects the ratio in the industry. Typically, the men spoke more at first, but as I listened the women found their voices. Nearly all of them were between 18 and 30. The young women wore the traditional three-piece salwar kameez, a tunic, baggy trousers and a headscarf, all in bright colors. They did not hesitate to speak up about their grievances, beyond the urgent danger of unsafe workplaces. As they got comfortable, they got more and more indignant, not even waiting for my (highly capable) interpreter, speaking directly to me in Bengali, as if they hoped their intensity could jump the language barrier. First and most obviously, they complained about low wages and long hours. There has been some confusion about this in the Western press, but the standard wage—for an eight-hour day, six-day week—is still only $38 a month. Two or three hours of compulsory overtime just about every day bring this figure up to $63 to $88. But the workers explained that during big production runs and peak seasons, they are required to work even longer, until 1 or 2 a.m.—and they’re still expected to return the following morning at 8:00. They explained that when they are tired, it is easier to slip up and put a sewing needle though one of their fingers. But there’s more. They were just as indignant about the tremendous pressure to produce. The English word “target” has entered Bengali, and they describe impossible quotas—sewing 150 pieces per hour is not unusual—and abusive supervisors. They simply are not allowed to take sick days. In some factories, they are not even paid on time. Survivors of the Tazreen fire told me they were convinced the owner burned down his own factory because he owed back wages. There is no proof of this charge, but it is an accurate measure of the mistrust in many factories. There are other indignities. The taller buildings have elevators, but they are reserved for the buyers and senior management. The workers have to march up and down seven or eight stories several times a day. One young woman in a sea-green traditional outfit, Asha Rahman, said that even pregnant women in her factory were not allowed to use the elevator. I asked which brands they work on. The union suggests that they collect the evidence as they work, and they showed me labels from the major European and American importers. We chuckled when Abdul Kazi produced a Gap tag for a gigantic pair of men’s pants with a 45-inch waist. Three young women invited me to their living quarters, in the Rampura neighborhood in central Dhaka. The crowded, pale green corrugated metal structures had the feel of a military barracks. Six people were squeezed into two tiny rooms. They were thankful they had electricity and running water, but they share a community toilet and shower with three to five other households. She started spending all her limited free time at the Solidarity Center. She helped organize a union in her factory, which signed up 1,450 of the 1,500 workers, and she was elected president while still just a teenager. Over the past few months, Akter has become excited by the rapid upsurge in the number of Bangladeshis joining free unions, and she partly credits pressure from the United States with forcing her government to relax its anti-labor stance. In June, the AFL-CIO, along with elected officials like Representative George Miller and Senator Sherrod Brown, successfully convinced the Obama administration to suspend Bangladesh’s privileges under the Generalized System of Preferences, an international trade program that had allowed certain exports into the United States without duty. The move was largely symbolic, because the GSP did not cover garments. But Akter and others point out that the US action did profoundly frighten Bangladesh’s government, which feared that the European Union might also apply similar and more substantial trade pressure. Overnight, the independent union movement found it easier to organize. But the government intimidation continues. Akter is convinced the security police still listen in to her phone calls, but she is less afraid than back in 2010, when she was arrested and jailed for a month for “anti-state activities, ”or in 2012, when her brave colleague, 39-year-old Aminul Islam, was tortured and murdered. She is sure that certain factory owners ordered the killing. In the past, international pressure has unquestionably worked in Bangladesh. Akter explains that in 1992, Senator Tom Harkin proposed a law to ban imports made by children. The law never passed, but the threat was enough to nearly end child labor in the industry. Back in 1991, I visited a garment factory in Dhaka, and I felt I had stumbled into a junior high school home economics class; the average age was 13, and there were kids as young as 9 or 10 sitting at sewing machines. (The industry back then justified child labor by claiming that in a poor country, children were needed to support their families. Akter responds simply, “My mom also worked in a garment factory. If they had paid her more, I could have stayed in school.”) Without the pressure from Senator Harkin, rescuers would have been pulling the bodies of kids out of the ruins of Rana Plaza. The end to child labor proves the global garment industry can move promptly when it wants to, even though the industry is a champion at producing feeble alibis and dishonest excuses for its terrible human rights record. Walmart and the other big importers claim they do not always know what is happening at the base of their supply chains. Local factory owners whine that the importers are not paying them enough, and some even plead that they are actually losing money and cannot afford wage increases. The owners also threaten that pay hikes will force the importers to decamp to other countries. Read why South Korea is ground zero for food sovereignty and community resilience.